The beloved Orvis Signature Polo Shirt is a men's classic you'll want in many colors. Welcome warmer weather with our breathable, three-button Orvis Signature Polo Shirt. The mesh-like piqué construction is knit from long-staple Peruvian cotton that is soft on the skin and cool wearing. And don't be afraid to put it through the paces. We've anchored the placket with edge stitching and double-needle stitched the bottom hem for strength and durability. Gussets under the arms let you move freely, while the longer tail helps keep the shirt tucked inwhen that's what you want. The utility loop is perfectly placed for hanging your sunglasses. Soft knit box collar and banded sleeves add even more comfort. Nicely finished with contrast color on the collar seam trim and contrast reinforcement patches on the side vents. Pure cotton. Washable. Imported. Tall: M(38-40), L(42-44), XL(46-48), XXL(50-52), 1½" longer in body and 1" longer in sleeve. 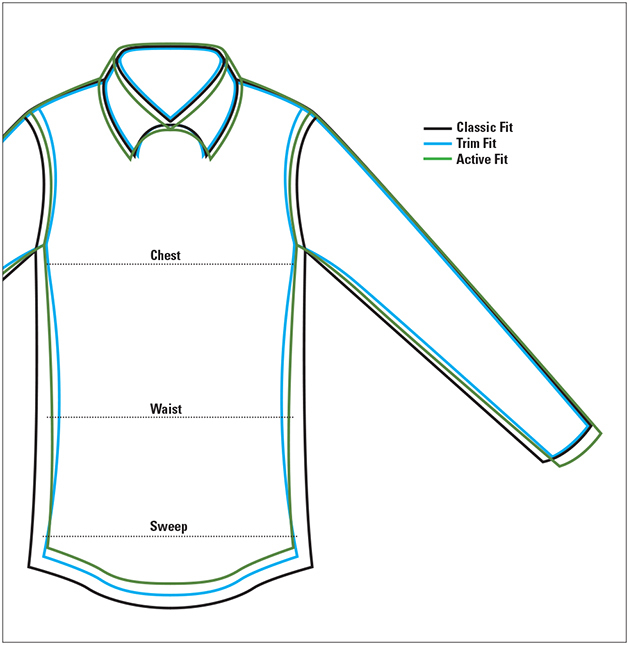 Trim Fit: S(34-36), M(38-40), L(42-44), XL(46-48), 2" leaner around the body, ½" shorter in length, 2½" narrower in the shoulders, and shorter, slimmer in the sleeve. Buy 2 select Signature Polos, get the 3rd Free! To take advantage of this offer, add any 3 select Signature Polos from this page (2HCJ, 2HCK, 2RG0) to your basket. The price will be automatically reduced at checkout. Offer ends July 21, 2019, at 11:59 PM ET.